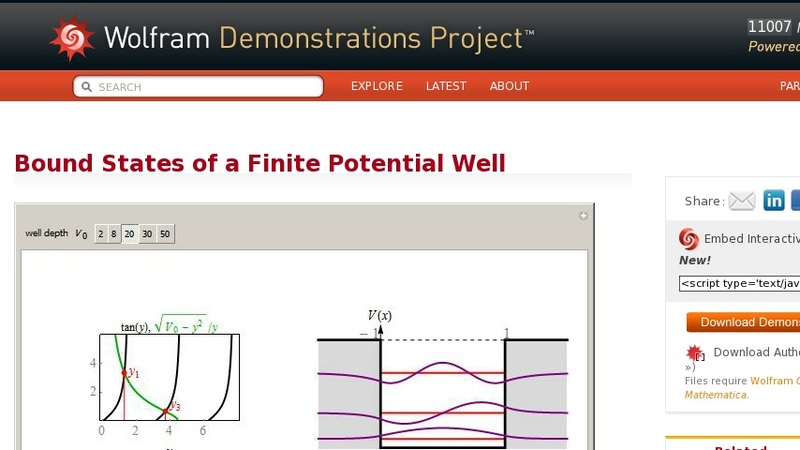 This Demonstration shows the bound state energy levels and eigenfunctions for a square finite potential well defined by ... . The solutions are obtained by solving the time-independent Schrödinger equation in each region and requiring continuity of both the wavefunction and its first derivative. This leads to two transcendental equations, ... and ... , where ... . The graphical solutions to these equations give the bound state energy levels, shown on the left. The dependence of the energy levels and the corresponding eigenfunctions on well depth are shown on the right.